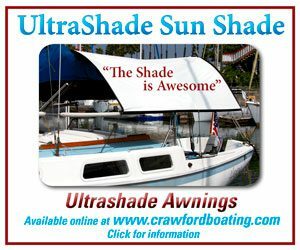 You just docked after a nice sail. The weather is warm. The plan is to grab a bite to eat at a local restaurant. You leave the forehatch open wide to let the boat air out a bit. 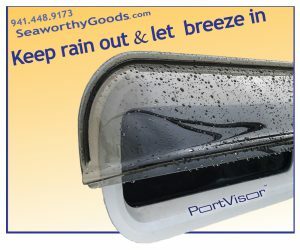 About halfway through your meal, the rain begins! You begin to race back to the boat, images of a soggy V-berth and bedding pushing your legs faster and then . . . you stop . . . and you smile, because you remember that you have a hatch tent. The accompanying pics show our hatch tent in its deployed position. 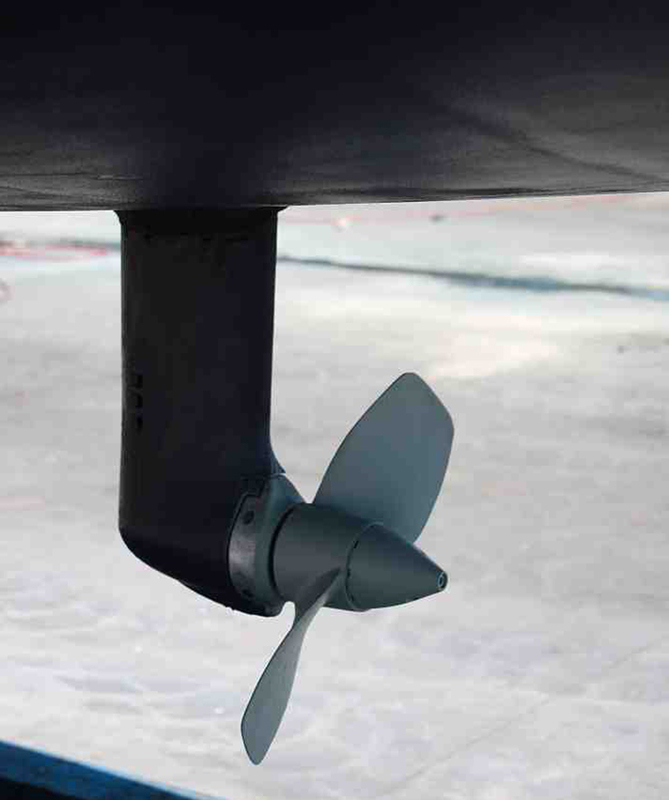 It is suspended from a jib or spinnaker halyard and attached at eight different points by bungee cords. 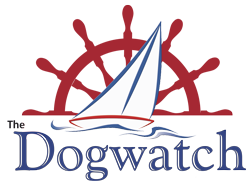 Basic dimensions are: length to be 65 percent of the distance from the mast to the bow, width to be 75 percent of the beam measured aft of the fore hatch. Written by Rudy and Jill Sechez. In warm weather, full-length foul-weather pants are rather uncomfortable to wear for too long. A more comfortable option we’ve found is to take a pair of full-length pants and cut them so that the legs fall about 2 inches below the bottom edge of the shorts we usually wear (plan to cut a little longer to allow length to fold and hem). These improved foulie bottoms are cooler to wear while still keeping our shorts, and everything in our pockets, dry. Most anyone should be able to make the necessary alterations with needle and thread, no machine sewing is necessary. 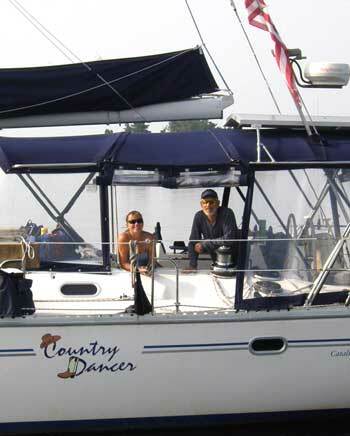 Jill and Rudy Sechez have cruised for 20 years and still enjoy using paper charts, lead line, compass, and oil lighting. 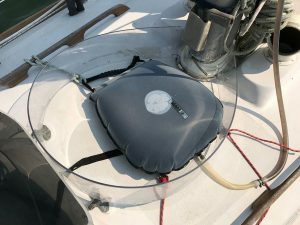 They have built seven of the nine boats they’ve owned, including their current boat, a 34-foot sail-assisted trawler, Briney Bug, and its 8-foot rowing dinghy, one of five they’ve designed. 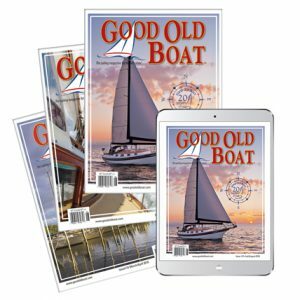 They have written numerous articles for boating magazines and their book, Anchoring, a Ground Tackler’s Apprentice, was published by Waterway Guide Media. 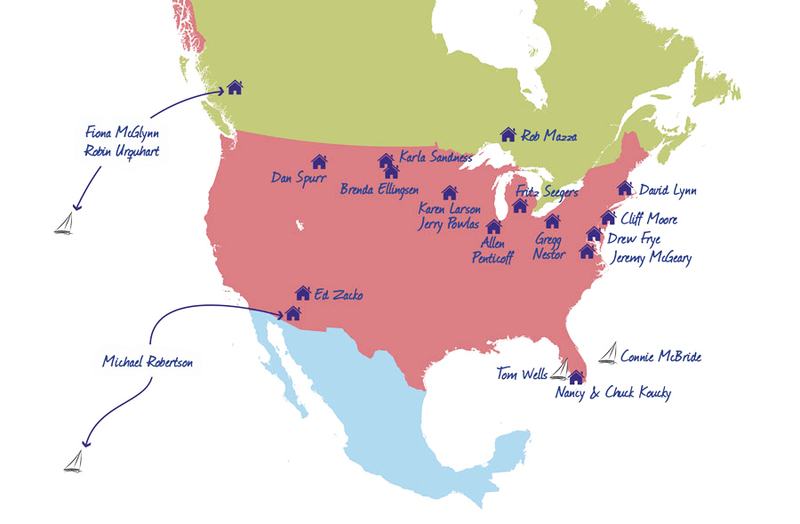 The couple are available for speaking engagements: rudyandjill@yahoo.com. 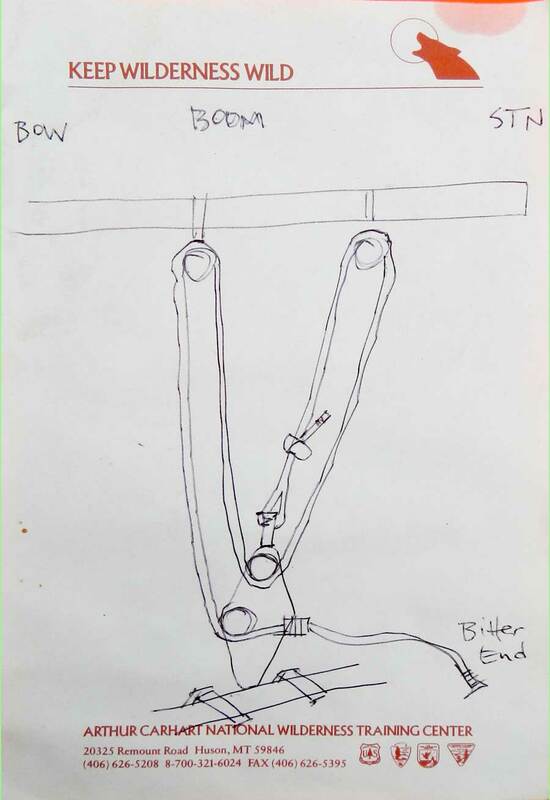 In a plastic notebook binder, I keep a sketch I made of how the mainsheet runs through the blocks correctly. In the same notebook I keep also a cheat-sheet on the Mayday procedure, a layout of my switch control panel (upside down, as I access it from the cockpit), and any notes I make while sailing. British Columbia winter months are cool and damp with short days, rain, and minimal sunshine. 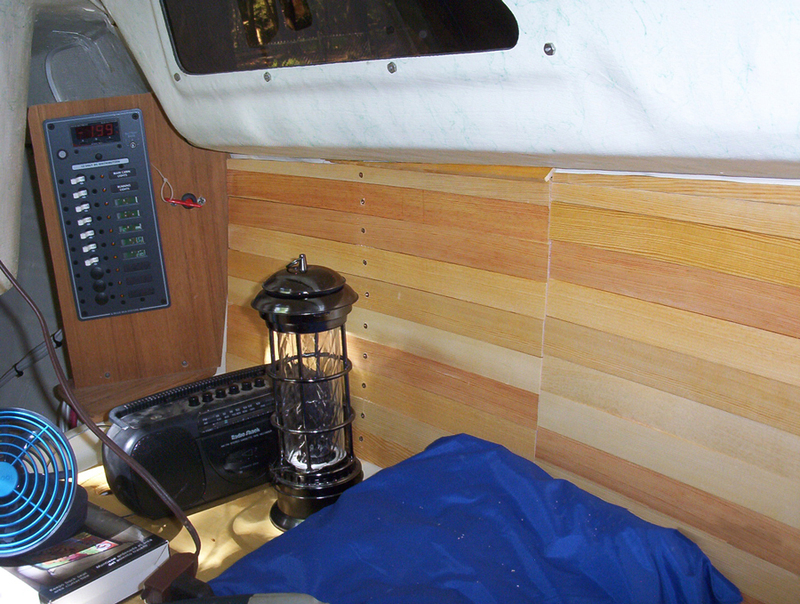 Having a heat source on board is essential to keep the mildew at bay and so we keep Natasha, our 1978 Islander Bahama 30, plugged in all winter. 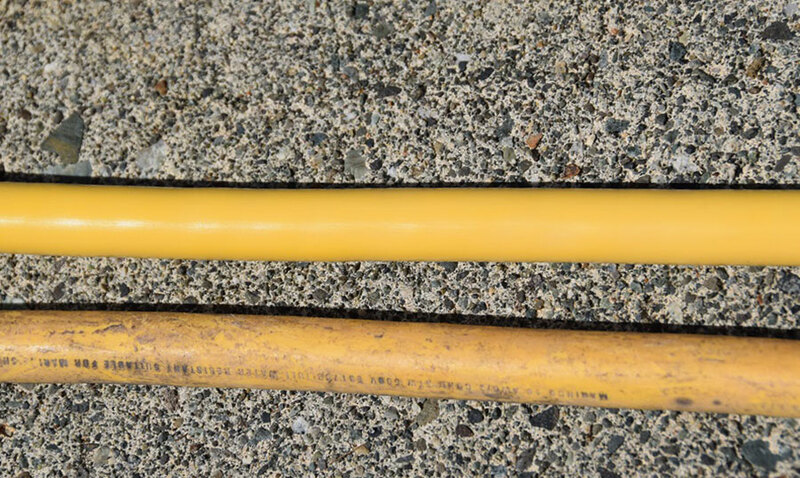 For the past 15 years, our yellow Marinco shore power cord has been subjected to everything the weather and dock can throw at it. Bright yellow and shiny when purchased, it had gotten dirty and sticky to the touch, not something I particularly wanted to handle. I tried every marine-focused vinyl cleaner available, along with chemical and abrasive cleaners from the local hardware store. None were effective. And with 50 feet of cord to clean, I needed something effective. 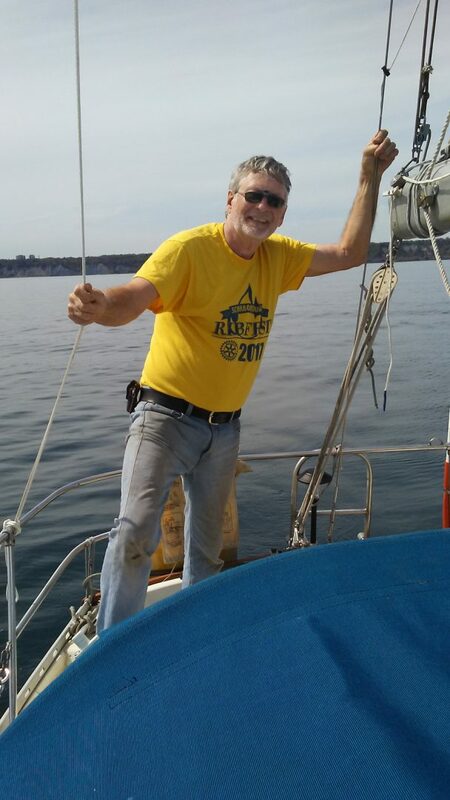 Before we sailed Sionna, our 1963 Triangle 32 ketch, south from Maine in August 2016, my wife, Nicki, and I spent many, many hours on repairs, preventive maintenance, and upgrades to ensure we had a reliable, comfortable home for our planned 8-month sojourn to the sunny south. But one of the tasks on our to-do list we didn’t complete was to re-bed her stanchion bases. Predictably, we discovered leaks shortly after we left. 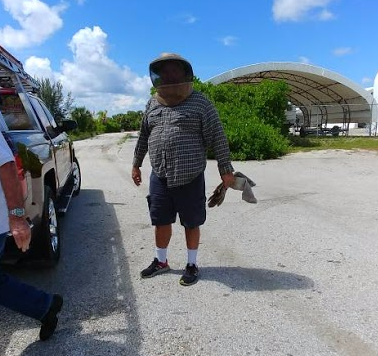 When I finally tackled the project, we were in Florida, at Marathon’s Boot Key Harbor. 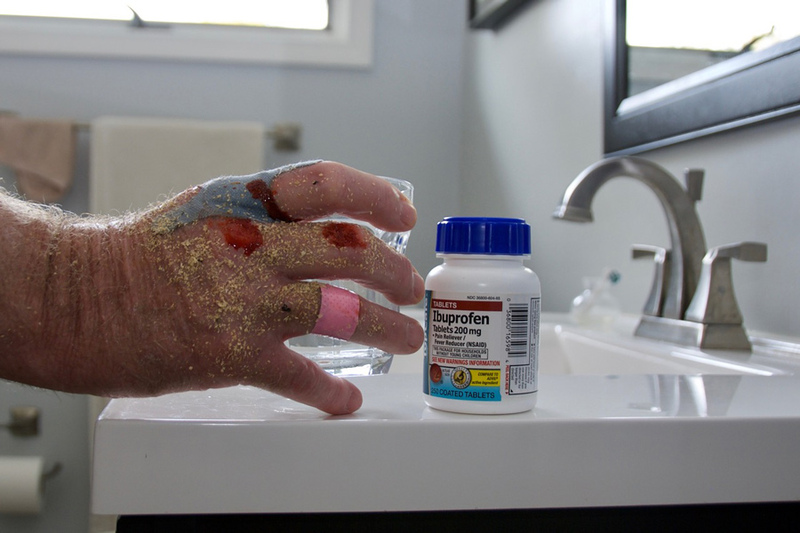 The job was straightforward, but it did require I draw on the following tips and tricks. 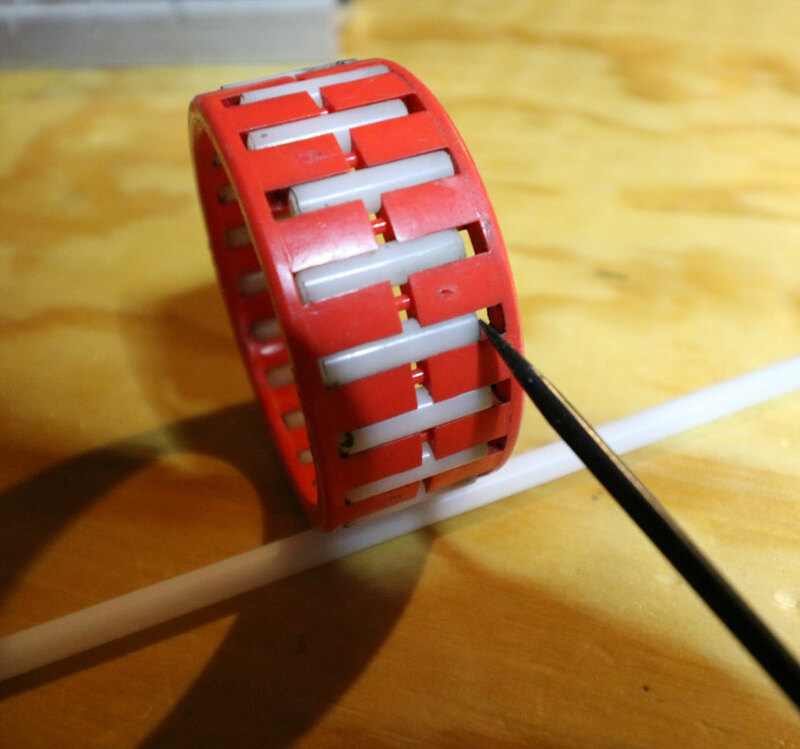 Editor’s note: We have a hard time relating to David’s story. We’ve a 40-year-old boat and it’s difficult to imagine ever polishing her hull and losing track of where we finished off. Perhaps our incredulity is simply jealousy. 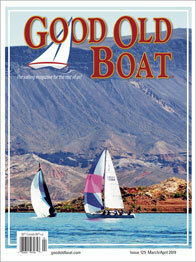 As our boat is 40 years old, she’s not free of blemishes but so far there is no indication of chalking on the gelcoat. 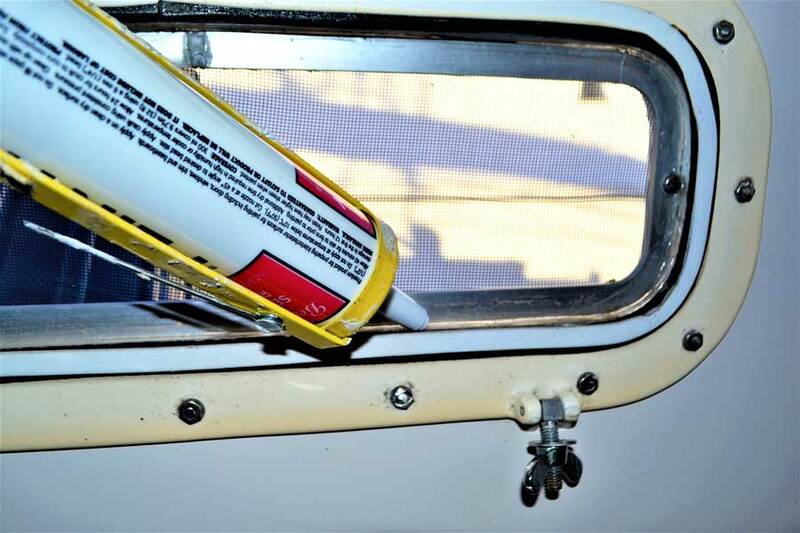 Accordingly, every year when my wife, Eileen, and I polish the hull of our good old Mariner 28, Day by Day, we have the same problem: locating the area we just covered so that we don’t laboriously re-do parts of the hull twice over. We have made sporadic attempts to indicate the polished sections but nothing systematic. This year was going to be different! 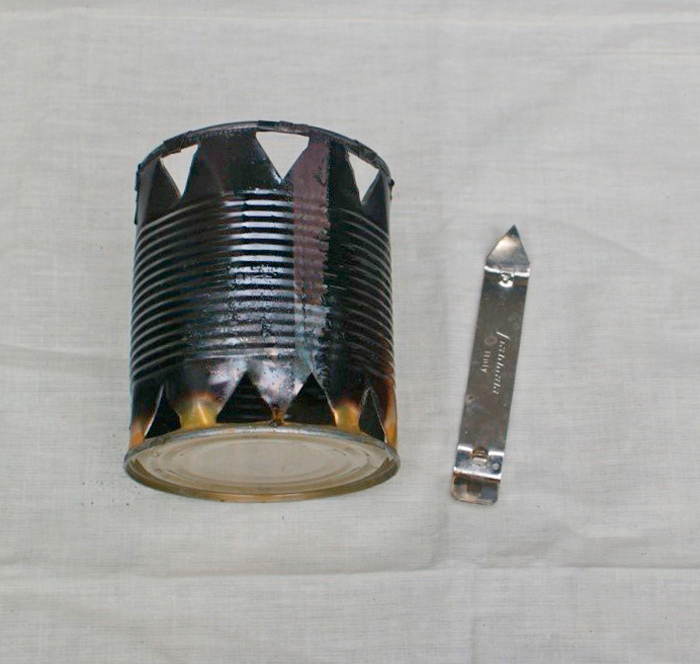 A prepped can, ready to go. We occasionally go to potluck events in our marina where four or five couples are trying to cook their food on a single gas/charcoal grill. There is usually too much food to cook on the grill at one time and we struggle to jockey the food so we all can eat at the same time. Side dishes in pots are usually cooked aboard and brought up the dock to shore to sit and get cold. 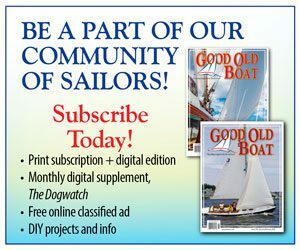 Editor’s note: A Taste of Sail! I love this concept and I know it’s practiced at clubs all over. But if it doesn’t happen in your community, hopefully you’ll be inspired by A Taste of Sail to start something similar. It’s having fun doing good. 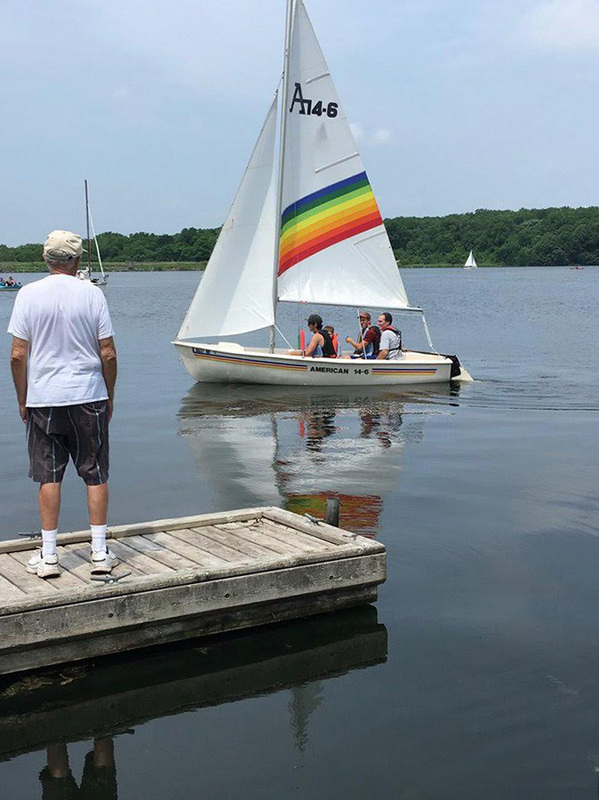 To spark sailing interest among our community (and to attract folks to join our little dry-land yacht club), we of the Rockford Yacht Club of Rockford, Illinois, have for many years now hosted an annual public event we call, A Taste of Sail. 2017 was a disastrous sailing season for the boaters of the lower Great Lakes. At launch time in late April, the water was several feet higher than normal. Owners donned rubber boots to wade through several inches of water covering the docks just to get to their boats. Because they were under water, the docks were soon slick with algae, making the stroll to a boat perilous. Shore power was cut off because the electrics were under water. After a few of us experienced tingling while wading on the submerged service dock to step our masts, the crane was shut down and we worked to re-route the wiring to higher ground. Soon, every club on the lake was closed to visitors for safety considerations. Even for those who were determined to sail, there was no place to go. What is normally a six-month sailing season turned into two and a half months. Upon upgrading from a cozy, wooden Swifty 13 to a Montgomery 15, I was struck by the stark fiberglass interior of the Monty. I missed the warm, soothing ambiance of a wood cabin. There’s just something about wood — it’s alive, it’s organic, and so somehow helps to ease the sense of loneliness and anxiety lurking in the background of the human condition. 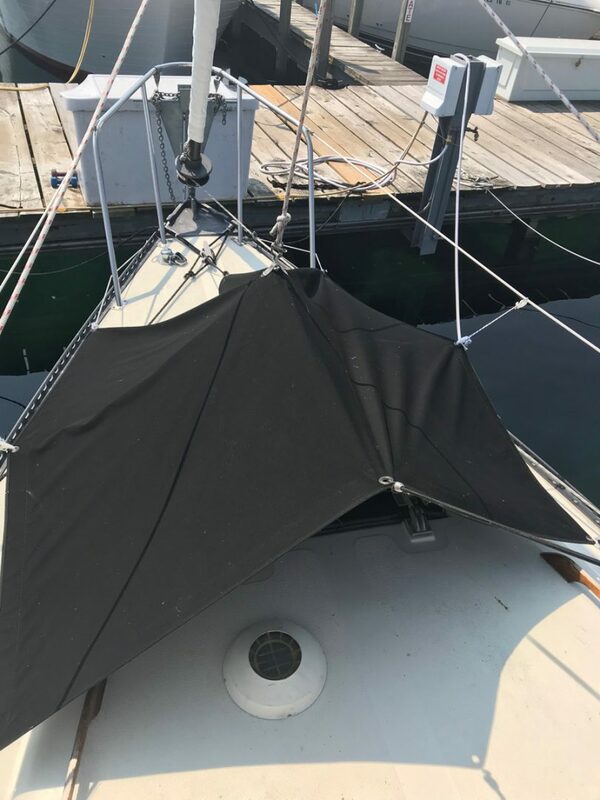 After replacing the screens that fit the opening portlights on our Bayfield 32, I noticed a narrow gap around the perimeter of the aluminum frame, between the screen and the portlight frame. The tiny gap was large enough to let the ravenous mosquitos through to feed on us while we slept. 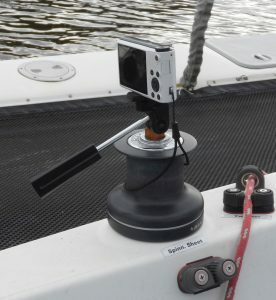 Is There a Saildrive in Your Future? A quick dive revealed that the mechanic knew what he was talking about. I had no prop and I was stuck in a small, remote cove on the west coast of Vancouver Island. It took seven days to rectify the situation. The best fishing is behind my boat, a 1967 Morgan. 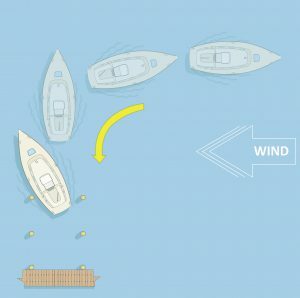 I know this because every time I settle into a new anchorage, one, two, or more fishing boats inevitably appear, only a fish’s throw from my cockpit. 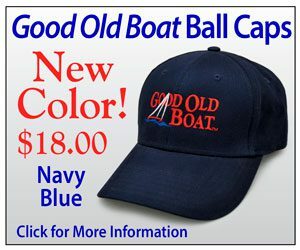 Clearly all the fish have schooled around my boat and the fishermen somehow know this. When they arrive they drop their lines, sometimes at an uncomfortable closeness. Not being much of a fisherman myself, I have never myself reaped this bounty off my transom. Many of us have Barient winches on our good old boats. If you’ve got them, you may have noticed that they aren’t what they once were. My late 80’s cruiser/racer has 8 of them. Years ago, servicing the winches, I noticed that all of the cage bearings (two per winch) needed to be replaced. The plastic containment cages were intact, but many of the nylon/plastic rollers were either flattened or split. At the time, replacement bearings were available at a fair price, so I installed new bearings and went on my merry way. 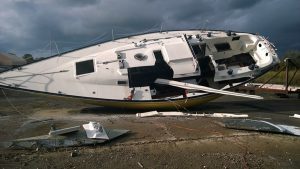 In late September, our marina manager asked if I would be interested in salvaging a few sailboats in the winter storage yard. All had been neglected and eventually abandoned by their owners. In each of these once beautiful and functional sailboats, water had accumulated inside, in some cases 1 to 2 feet above the cabin sole. When we retired from full-time cruising and built a house on the shores of the Chesapeake Bay, my wife Dee and I bought a thoroughly dilapidated 1966 Marshall 18 Sanderling catboat for exploring the Bay’s shallow waters. We used brutal methods to give her a complete makeover. 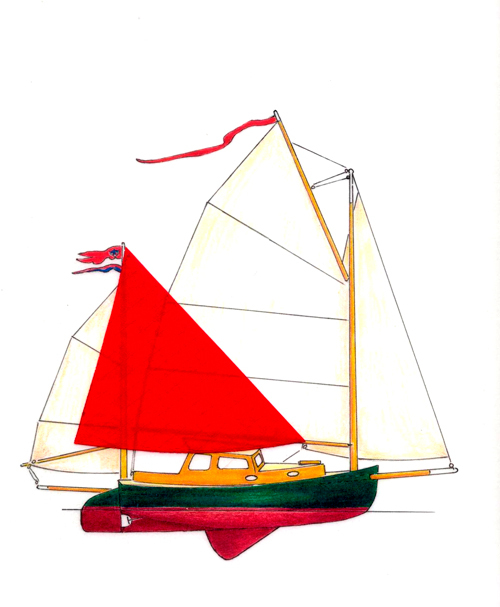 The result was a cat yawl with a permanent doghouse, easy chairs, a small galley, and a woodstove (“Good Old Catboat,” September 2001). We called her the Dabbler, and explored much of the lower Chesapeake in her. I stood in the cockpit of our boat, my trunks dripping wet from the swim out. Usually being aboard releases a spurt of euphoria within me. If I’m on the boat, most likely I’ll soon be sailing. Instead a shiver coursed through me. My shoulders and back ached from hauling myself aboard. My knees throbbed from bouncing around during our earlier sail that day. The wind puffed in my face, taunting me. But I balked. Novice, beginner, nimrod, greenhorn; we have all been this kind of sailor at one time or another. Many of us still are, and so this is written for you. You are the ones who have not (yet?) 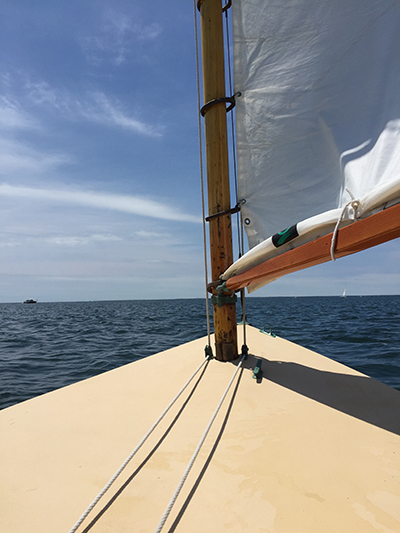 sailed on an ocean, let alone across an ocean, but have cut your teeth on a pond or larger lake in a summer camp Sunfish or a friend’s old Chris-Craft sloop. I am somewhere between the middle and end of refurbishing for fun and charter my 1982 Islander 48, Crescendo, hull number 1. 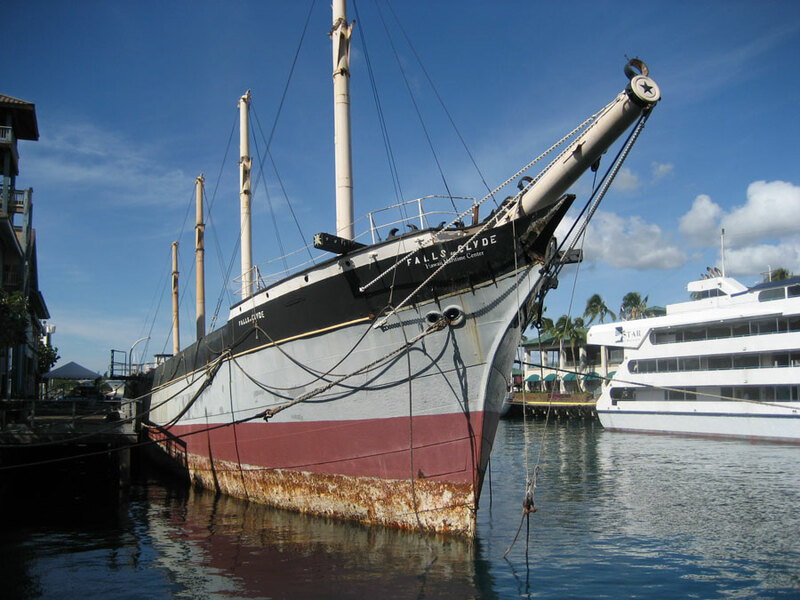 She’s just about ready to move from Port Charlotte, FL where she’s been on the hard for just under three years at Safe Cove, Inc., undergoing some major repairs and a lot of minor repairs. She is finally in the water and we’ve just completed installing new halyards. All that remains is planning the best time to move this deep keel boat during the right tide and weather window. 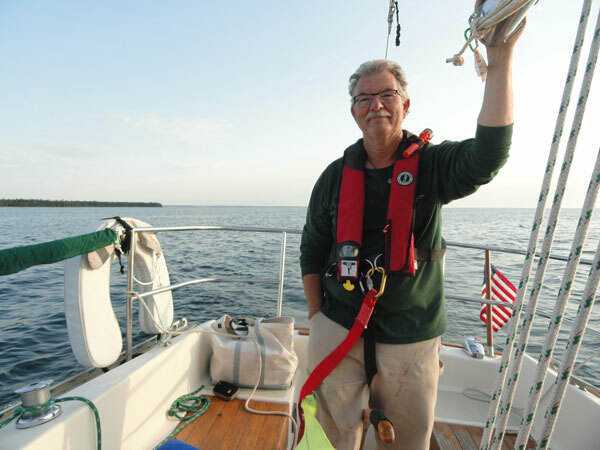 I rush to the Chesapeake Bay to fill up on sailing adventures. I explore the Bay with my boyfriend, Jordan, on Base Camp, our simple and reliable Pearson 31. 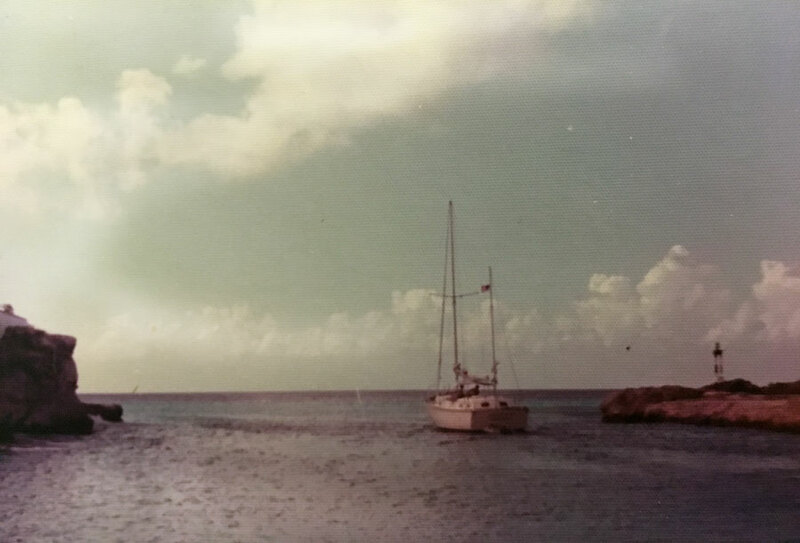 You too may know the magical moments: smooth winds, gentle waves, fiery sunsets, jumping into the water to cool off on a hot day, laughter at dinner on a boat, the calming of the body and mind at the end of the day. I am grateful for all of this, but what I truly love about sailing is its harsh and unpredictable side. 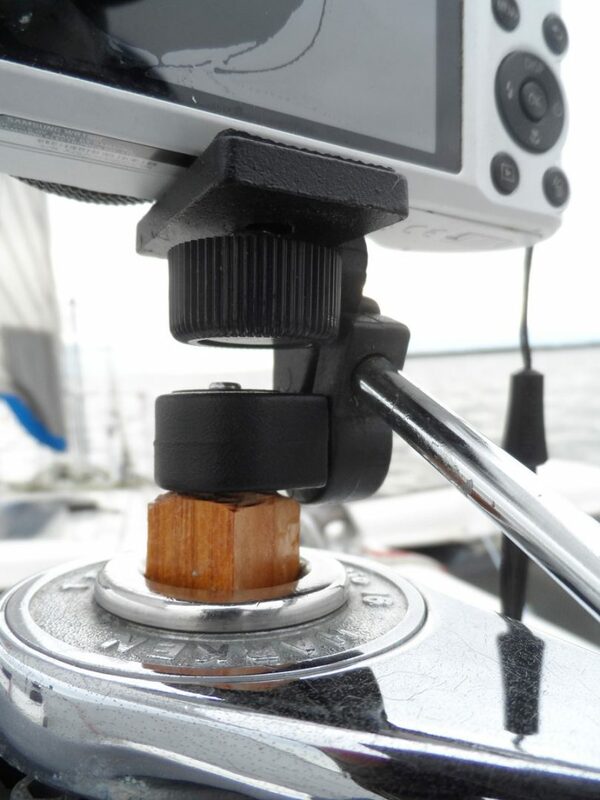 It is the unexpected, uncontrollable sides of sailing that are changing my life, for the better. As the boat backs into the slip and the crosswind becomes apparent, the helmsman is unable to keep the bow from being pushed off track. 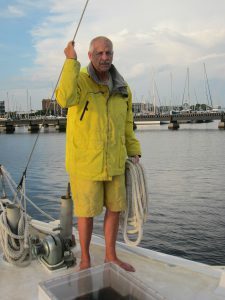 A friend and experienced boater related an interesting story over lunch. He’d recently had trouble backing his boat into a slip. 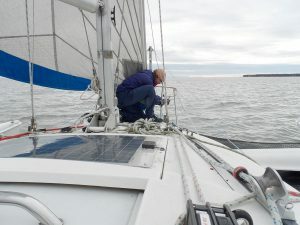 The wind was on the beam and his bow would blow off, keeping him from being able to line up with the slip. He had to abort his approach several times. Once he was finally successful and the dock lines were secure, an old-timer approached him and offered a suggestion for next time: drudge. This summer the confluence of two things made a strong impression on me. 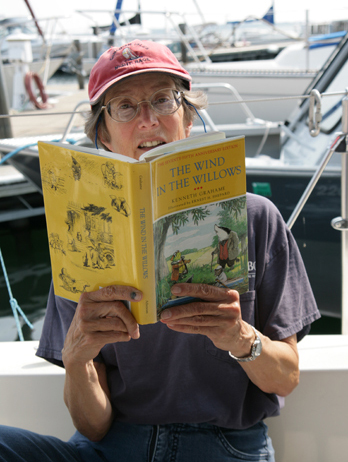 The first was the opportunity to appreciate once again in its entirety The Wind in the Willows by Kenneth Grahame. The second was a lengthy delay in getting to our boat due to health issues. 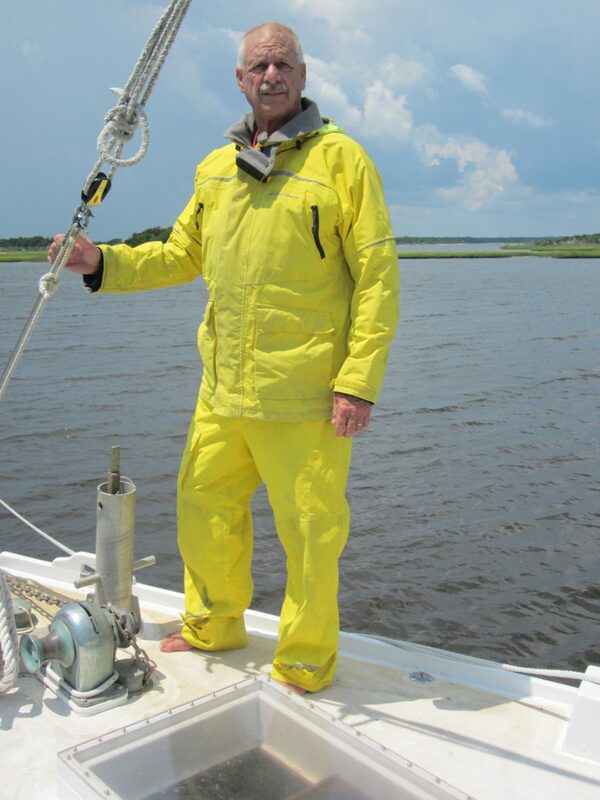 Every boater, particularly each do-it-yourselfer, knows the Water Rat’s famous quote about messing about in boats. But Grahame, who grew up near the water, has much more to say about the joys of the boating lifestyle through his character, the Rat. 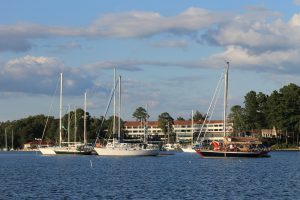 About 27 years ago, a group of sailors at Yankee Point Marina, off the Rappahannock River in Virginia, decided that a sailboat race in November would make a fine climax to the sailing season. Some of these sailors were approaching a mature age, and so were their boats, so they reckoned they would elevate their chances of getting into the trophies by placing an age restriction on the designs of the boats invited to participate. So began the Turkey Shoot Regatta, named for its proximity to Thanksgiving, for any sailboat built to a design that was at least 25 years old. 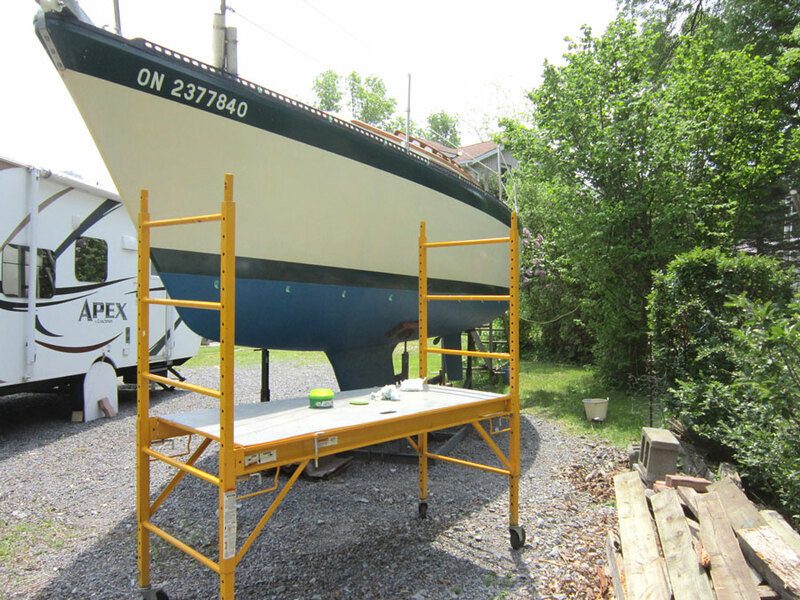 A boat still in wet paint from its builder qualified as long as its design qualified. 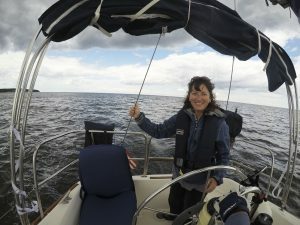 One night, about two years ago, we sailed Country Dancer, our Catalina 470, into a very narrow fjord just southeast of Thunder Bay, Canada. This little inlet was about 100-odd feet across, 25 feet deep, and had sides of near-vertical granite. As we had done before, we motored as far back into the granite gash as we felt we could and dropped our 73-pound Rocna anchor. It set immediately and we backed out of the cut a couple hundred feet to drop our 55-pound Rocna stern anchor. 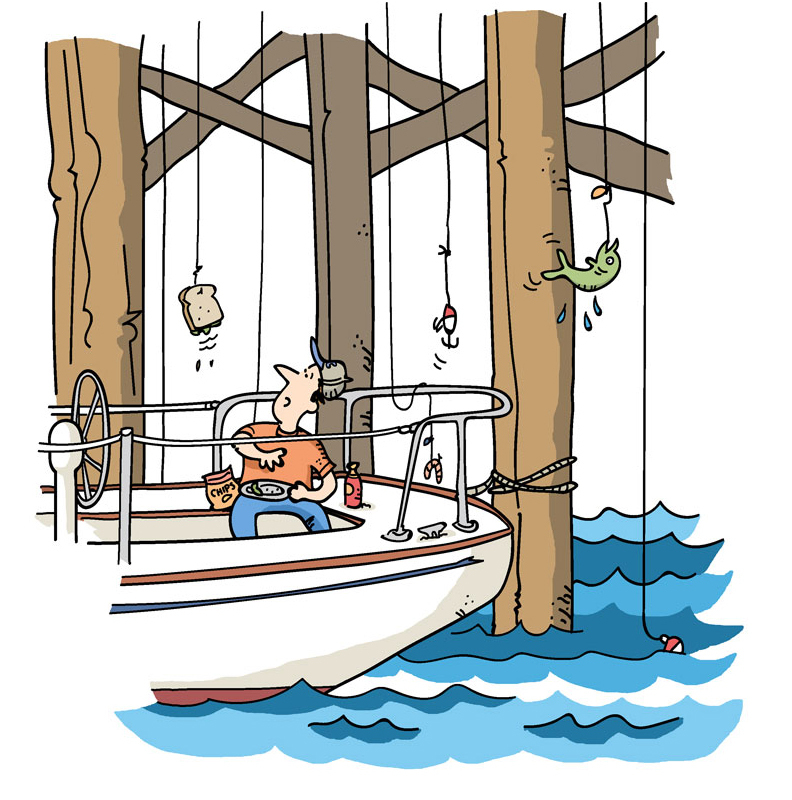 With two points established, we took the dinghy to the starboard shore and found a hearty looking little tree growing out of a nice crack and tied one of our long lines to the trunk. Three solid sets in a spot in which we could not turn our 47 feet around in seemed pretty secure. With 6-plus feet of draft in the cold fresh water, I had little fear of touching anything for the night. We pulled out our current reads, crime novels, to settle in with until nightfall.